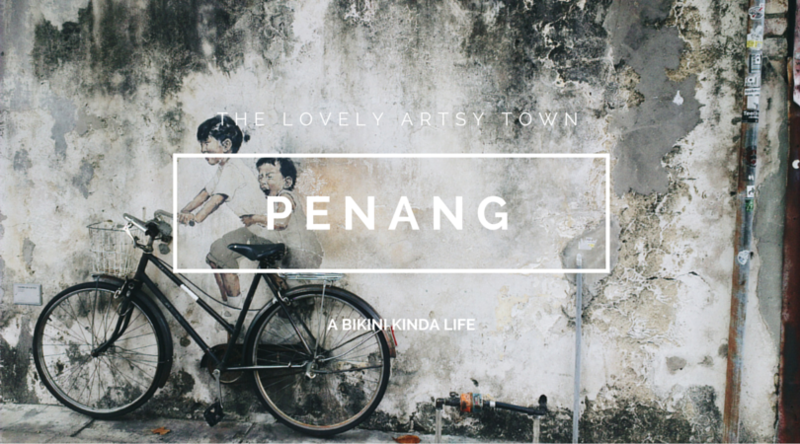 If someone asked me for any tips about traveling in Penang, I would say WEAR GOOD SHOES, NO FLIPFLOP! 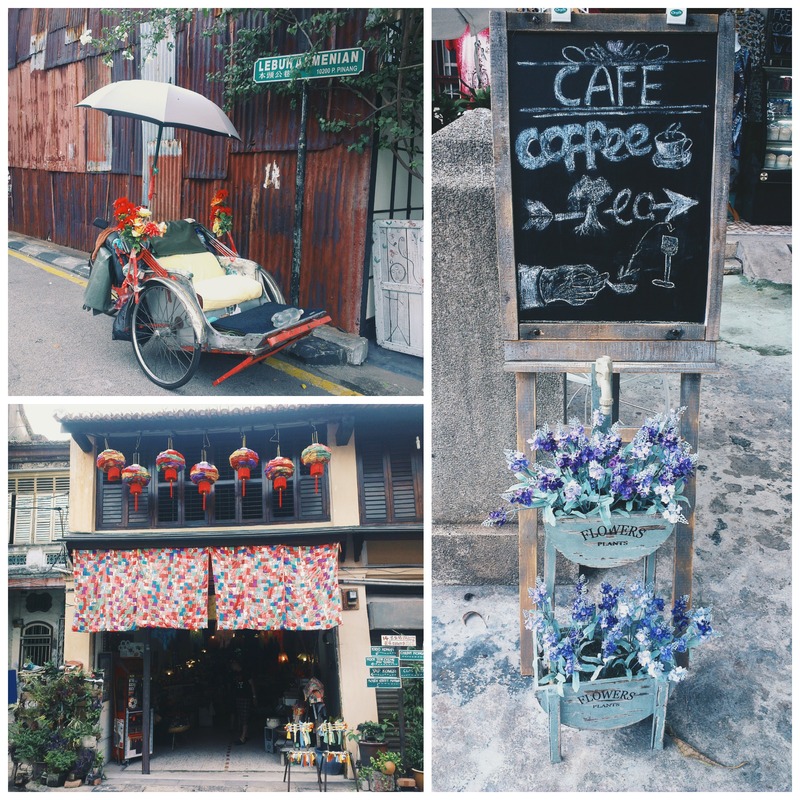 Since Penang is a small town and there are many details and small things to see so you would walk around a lot to check those out. I wore flipflop the first two days and my feet got pain real bad. 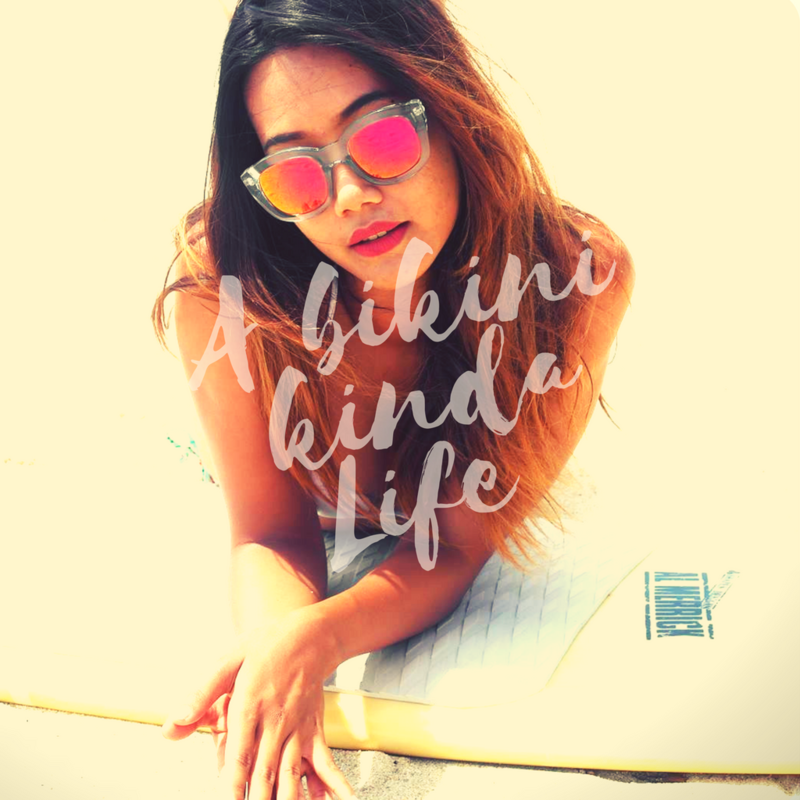 We decided to rent a motorbike on the third day and it was fun! We visited many cool places and it was all about arts. This part I would just try to keep things short since there will be many MANY pictures below. 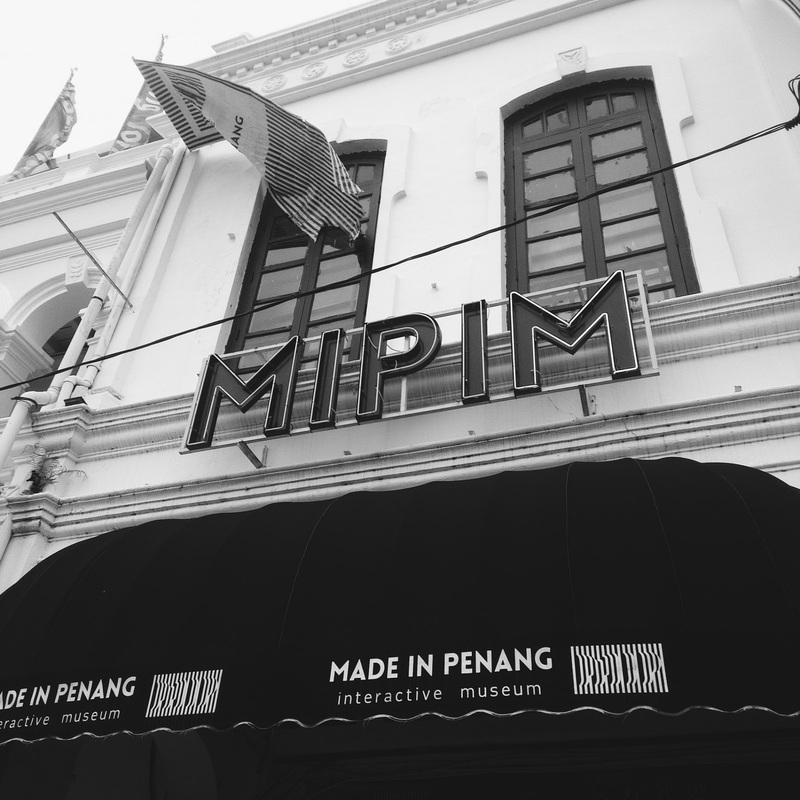 Made in Penang was the first destination of our third day in Penang. Though there are few more 3D art galleries but we chose this place because of the 50% dicount from AirAsia that I found by accident in an airline magazine, those books that people barely pay attention to read. So, keep your eyes open when you are on board, you might find something cool! The full price of the ticket was 15 RM which is pretty cheap compares to other similar places. 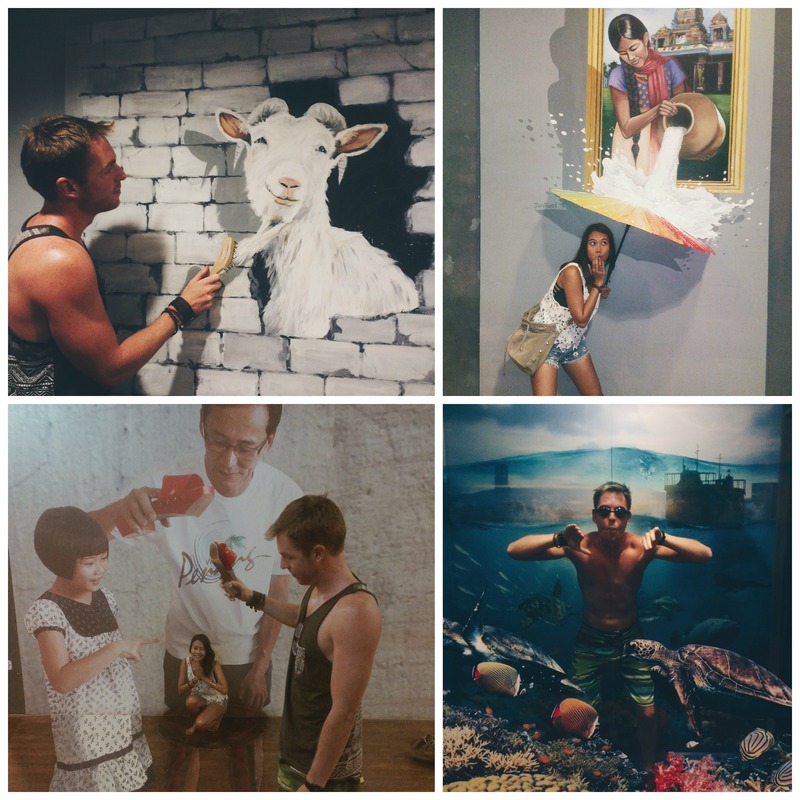 From my opinion, Made in Penang is more like a 3D art gallery that shows something light and fun than being an interactive museum as it claimed itself. However, we had lots of fun there anyway! 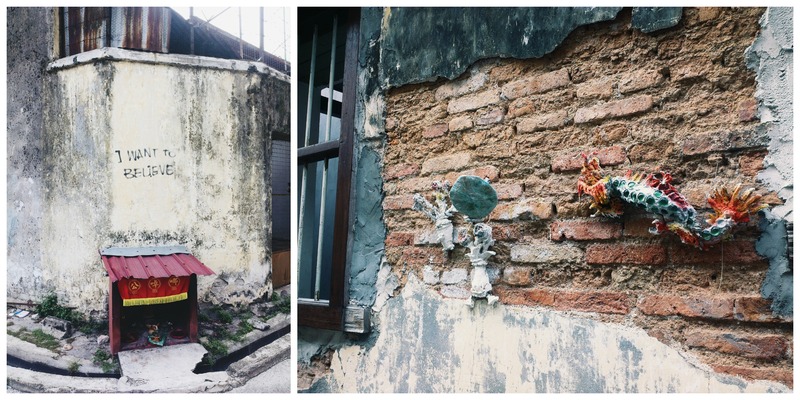 Then we headed to Armenian street to begin Penang Street Arts mission! There is a free guide map for all of these wall paintings in numbers, like a finding treasure game. 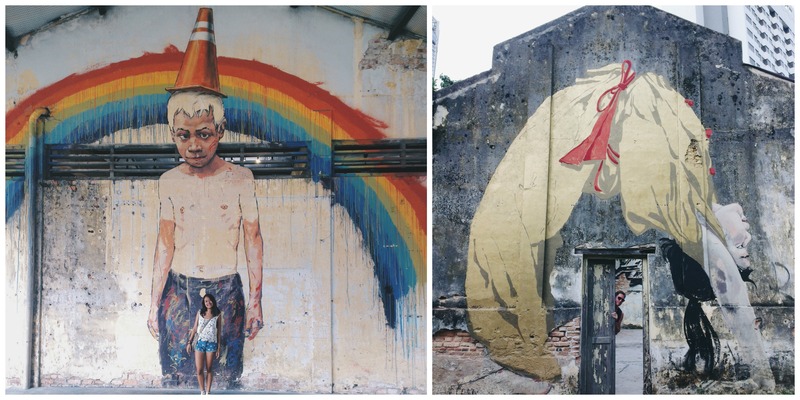 Though Penang has plenty of street arts to serve you but these paintings are the origins of the whole idea which influenced Penang to became a street arts town. 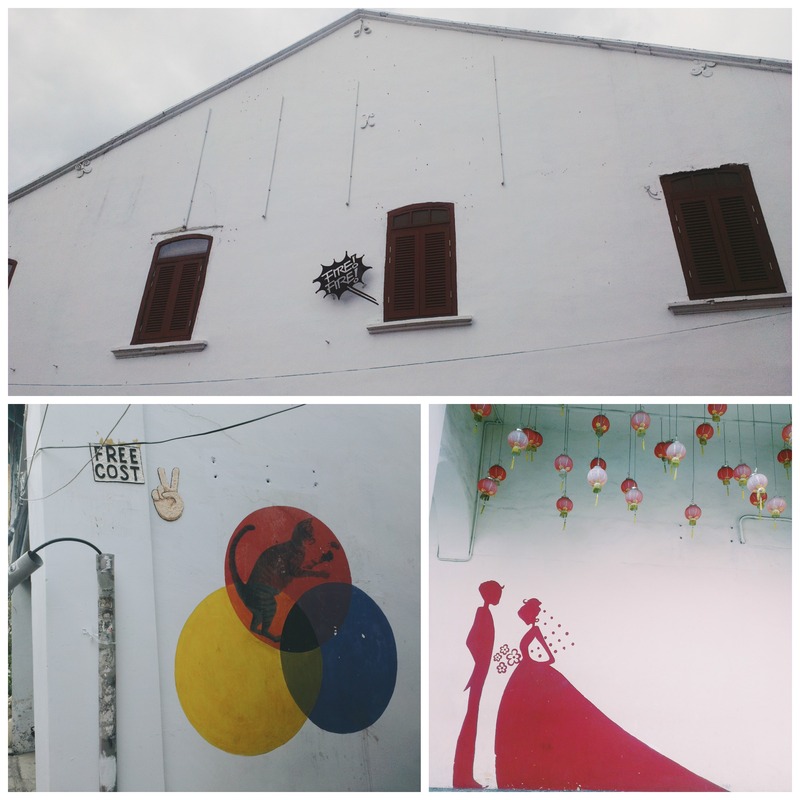 Pictures above are Penang's signature that everybody should have in their cameras when they visit Penang. 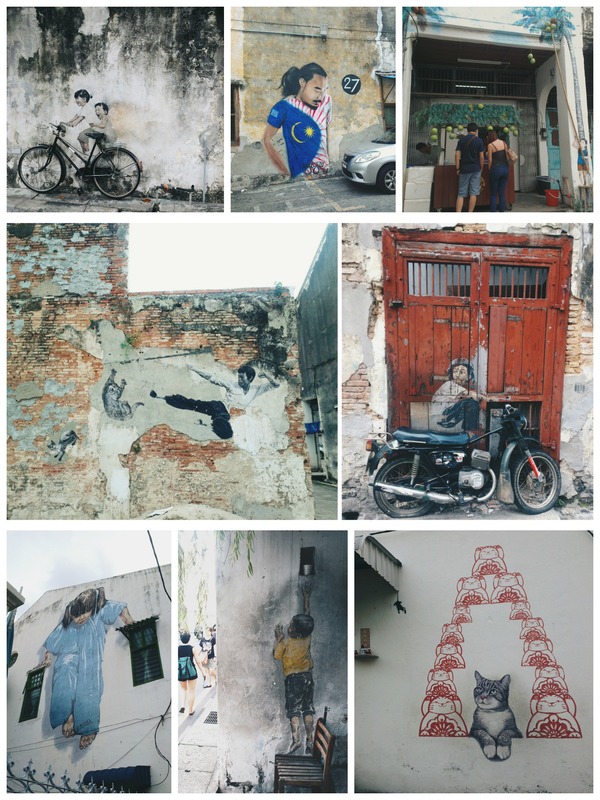 It is probably because we have seen these kind of arts a lot already as they are always on ads and everywhere on internet we looked for about Penang, it can't help, that it became less interesting for me. Turned out I pretty much liked the above pictures more, especially the left one! This is the place I accidentally found on internet. Once I saw the picture of a looking-badass boy in front of a rainbow then I told myself I need to go there. 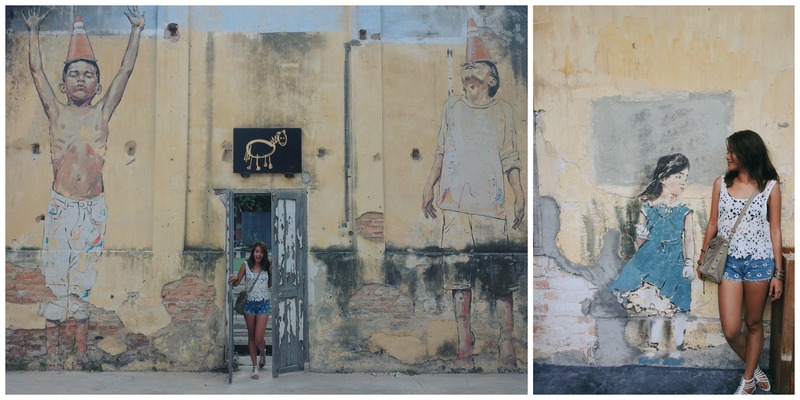 It is an old bus station that has got transformed into an art gallery which (I assume) is run by Ernest Zacharevic, the Lithuanian artist who created the infamous street arts around George Town. It's also a temporary gallery for showcase from Malaysian local artists. There is not much information of how to get to this place on internet, neither on any guide maps we have seen here. It is actually not difficult to get there though. Start from Komtar and then find how to get to Jalan Gurdwara, the gallery is on the right. It is quite hidden as there is no any sign of the place. Though there were not many art works as I expected when I got there but still, this place will inspire you some way. As I said before that we did not plan much for this trip, but what I planned carefully is sunset spot in Penang. The previous part we enjoyed sunset on Penang Hill and for this day I planned to do on the beach. Yes, Penang has beaches too! We chose to go to Gurney Plaza area since it is the modern entertainment zone of Penang people and more importantly, there is this night market called Gurney Drive with loads of local food strolls! The right picture above is Lok Lok, variety of fish balls, veggies, mushroom and many more kind of stuff with steaming bowl. It was fun to eat this, choose anything you like and the lady will put them in the steaming bowl then put your chosen sauce on top...YUMMY! Then we went to check out Gurney Plaza and Paragon (yes, the same name like that huge mall in Bangkok), whoaa, such a fancy place! 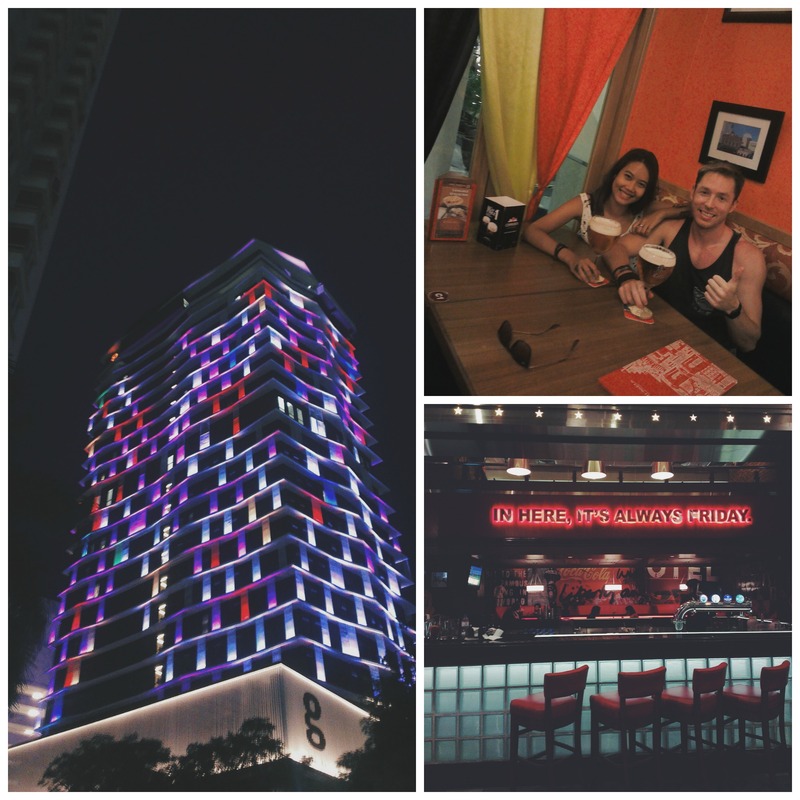 Other than those high-end brandname shops, there are tons of cool restaurants and bars. We ran in to this Belgium beer bar and Philip got too excited when he heard that it was the last minute of happy hour promotion so we just jumped right in it with two big bottles of decent Belgium beer....Ahhhh! 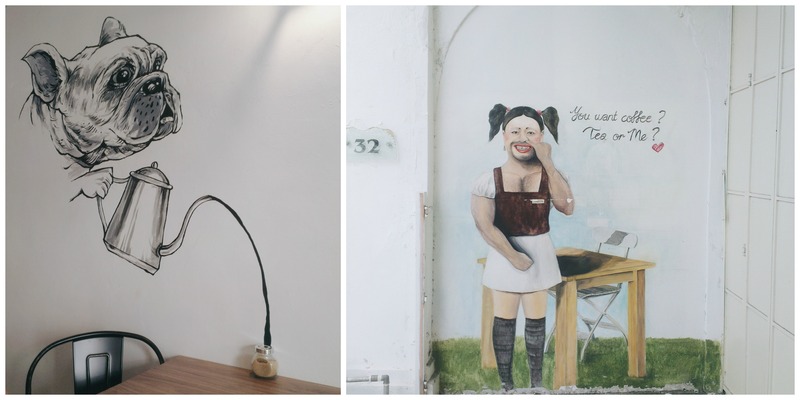 1 comment on "Penang, The Lovely Artsy Town (Part 2)"